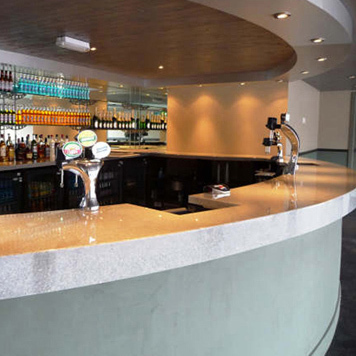 Versital manufactures made-to-order decorative solid surface panels for bar and restaurant areas. Panels are extremely hard wearing and resistant to stains, can be cut on site and are very easy to install. 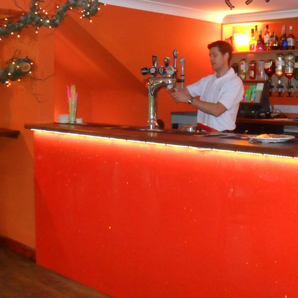 Solid surface panels and fascia are ideal for cladding the front of bar’s or at the rear. They are a great way to make an impact and also protect surfaces for years to come. As panels are made to spec, each order is unique to a customers requirements and the cost of each project varies. For a personalised quotation please send through a quote request form, or call 01204 380780. 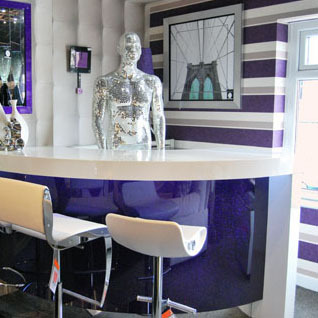 Extensive Colour Range Including Natural Look Marbles, Granites and High Gloss Sparkles. 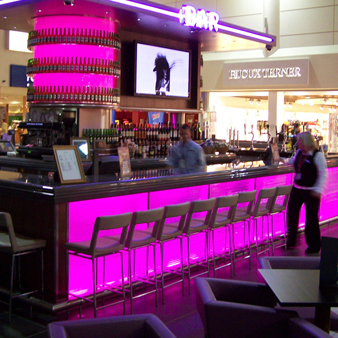 Versital offers you the opportunity to make a real statement with your bar area with beautiful vibrant colours that won’t fade. Versital has a range of 90 unique finishes and also offers the entire RAL colour range for commercial projects. This makes it easy to stay true to any corporate image. 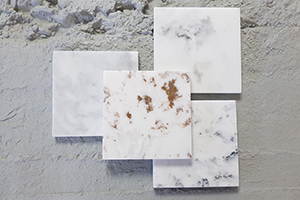 Versital gives the option of true to life marble and granite look panels, whilst remaining completely non-porous and stain resistant unlike the natural material. Design and install the look you want, without the problems. 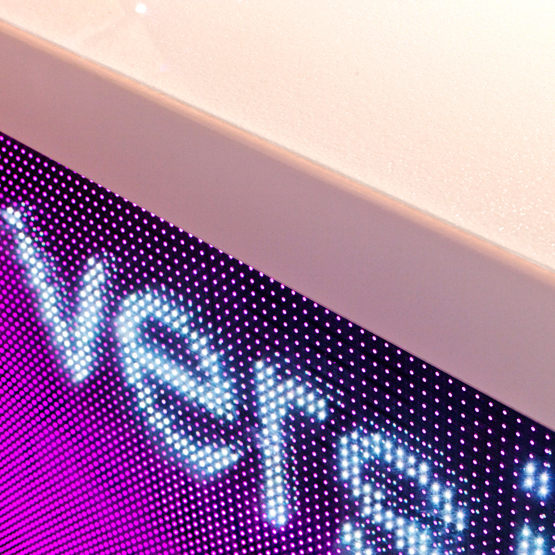 Versital offers a range of finishes that are translucent in nature, giving them the ability to be backlit. These are ideal for bar fronts and back bars to create fabulous looks. Translucent finishes include onyx and marble finishes. Please call Versital direct for further advice on 01204 380780. All surfaces are extremely hygienic, have no-where to catch dirt, do not water mark and are extremely stain resistant. Our solid surface panels won’t stain due to the non-porous gelcoat, giving them an unrivalled life span compared to other materials. No harsh chemicals are needed to keep it looking as good as new. A simple wipe down with a gentle cleanser will suffice. Versital can be manufactured to your specifications, or alternatively from any template you provide. 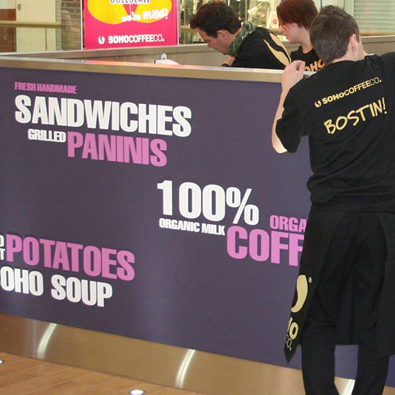 Panels are available up to 3000 x 1600mm and can be ordered to suit your needs anywhere within those parameters. Larger sizes are available, but may be in more than one piece. Versital is very strong and can be scribed, cut, and drilled on site, using ordinary wood working tools. Sanitary grade silicone is recommended for the installation and sealing of all versital products, including our panels. Decorative Panels Used In A Variety of Situations - Image Gallery. 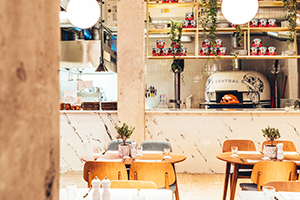 Versital offer a range of natural looking marble and granite finishes, as well as a range of fabulous sparkle surfaces. Perfect for high impact panels!